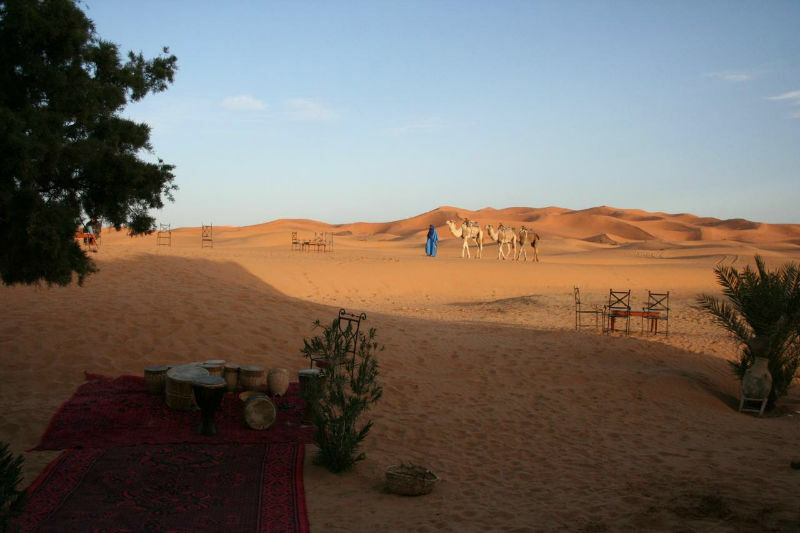 Nomade Camp - Luxury Riad in Marrakech, Morocco. 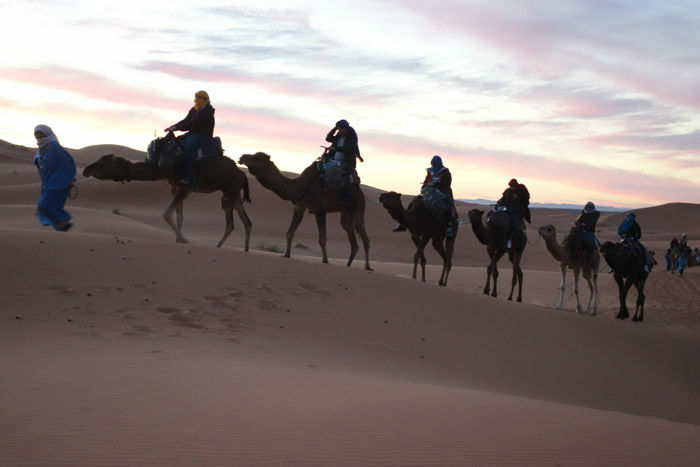 Book Nomade Camp Today with Hip Marrakech - specialists in English Speaking Accommodation in Marrakesh, Morocco. 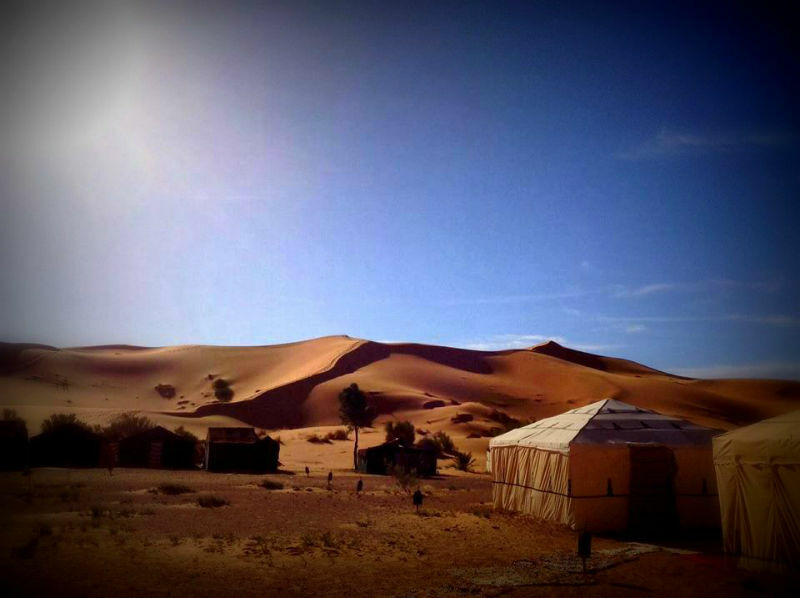 "The Nomade camp makes your journey into the heart of the Moroccan Sahara a truly memorable experience." 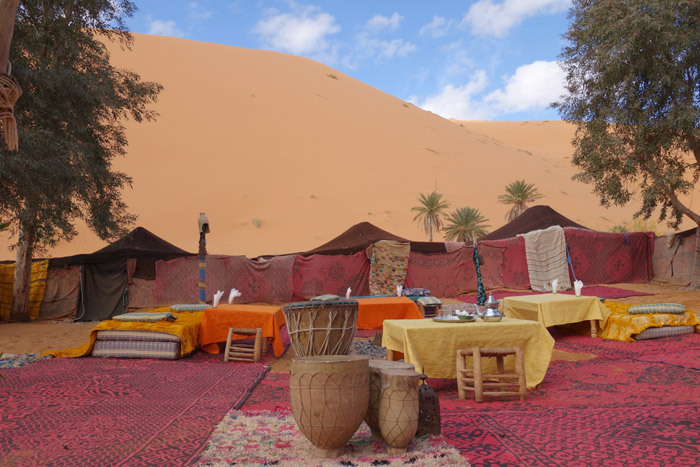 Welcome to Our Nomade Camp that invites you on a truly memorable journey into the heart of the amazing Erg Chebbi dunes in the heart of the Sahara. 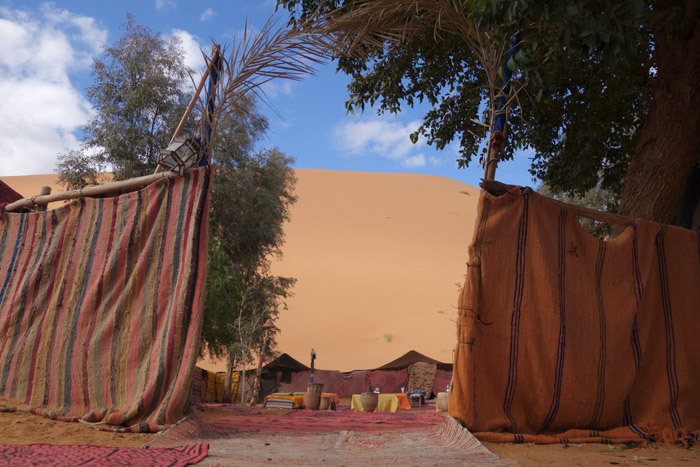 This rustic desert camp is located at the edge of the biggest dunes capturing the magic and unique energy of the desert. The staff provides a warm and informal welcome in traditional local style. The camp site and tents have tribal decorations from the region and the cuisine also has a local flavour. Dinner and breakfast are included. 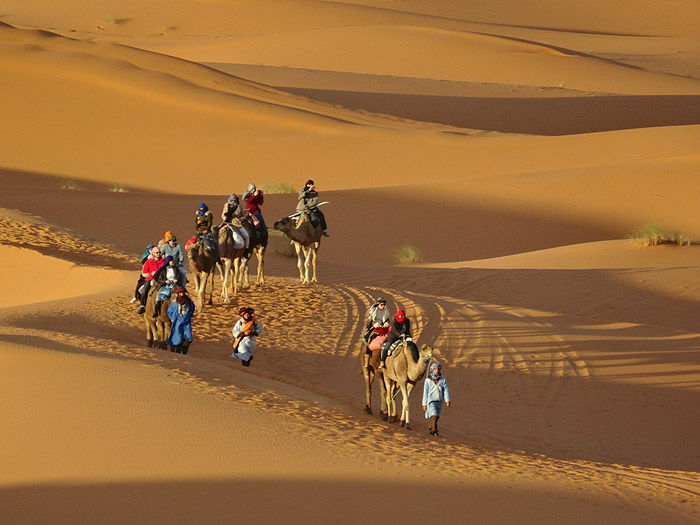 Please note that the final arrival to the camp can be made by camel or 4 by 4 at an extra charge. 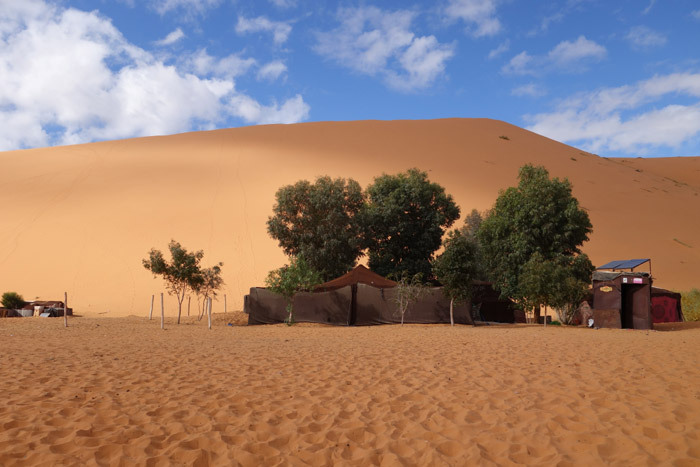 The tents in the desert are private and typically Berbers , set as a king size double or 2 twin beds, with basic private ensuite facilities with shower and toilet. Includes breakfast and dinner, plus camel trek into your camp. 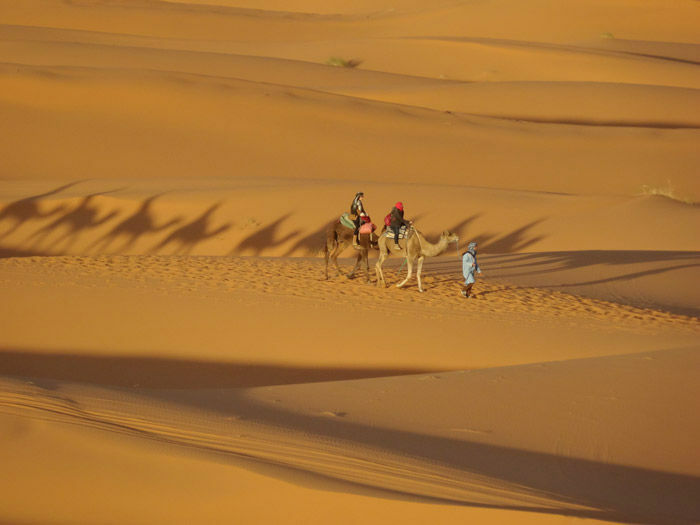 The ideal to spend the night in this unforgettable place and wake up the next day to watch the sunrise before returning to Merzouga. 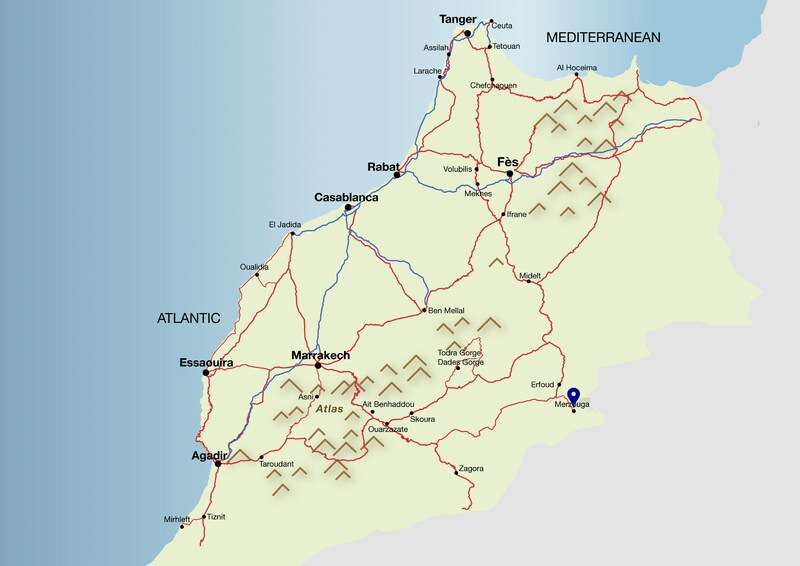 The base rate price at Nomade Camp is in pounds, euros, or Moroccan dirhams and exchange rates are approximate. Tent Dining: A welcome cocktail will be served at the arrival of the clients with Moroccan cakes, dattes and milk, followed by a copious Moroccan and Berber dinner. Best Price Guaranteed! All prices match or are lower than those charged directly by Nomade Camp. We can check availability at Nomade Camp for you, process your booking and assist you in finding alternative dates and accommodation if your first choice is already taken. 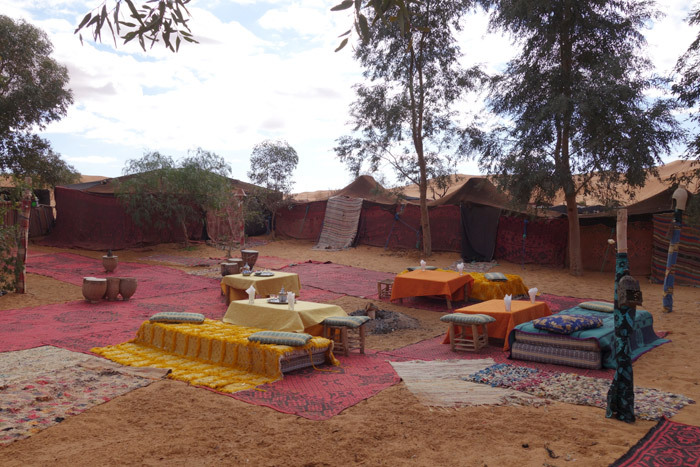 Every member of our team has expert knowledge of each riad including Nomade Camp and can provide more information about the rooms, the location and how well suited it is to your specific requirements.